How do I upgrade my cats’ skills? I don’t have the option to upgrade a particular skill. Why? Are there different breeds of cats? How do you ‘merge’ Cats? How can I customize my Cat? 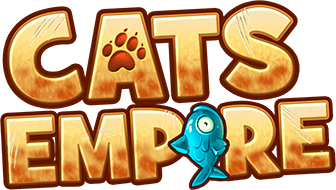 Some cats and fish have ‘keys’ above them. What are these for? What does the RUSH status give my cat? Can I avenge the attack on my cats? Can I upgrade the Cat Generator? Long-term bonus effects of event statues! Something doesn’t work – how do I submit a ticket?